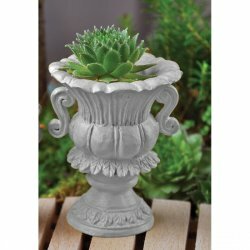 Miniature Classic Italian Urn Stake is perfect to add a classic touch to any fairy garden. These urns come with a stake for easy positioning. Fill this beautiful urn with any miniature plant or decoration to add some dazzle to your fun fairy garden!